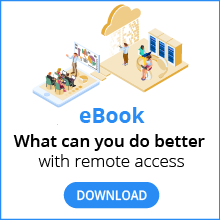 If the owner of a remote computer is likely to be present when users connect, you can configure VNC Connect to notify the owner and require them to manually approve or reject each connection. Again by default, if the owner doesn’t respond within 10 seconds, the connection is automatically rejected. You can change all these defaults by setting VNC Server Query* parameters. For more information, start with the documentation for the QueryConnect parameter.